#Hashtag is a full-service improv comedy troupe. With roots deep in comedy and improv, this group works in a range of disciplines, from short-form games like “Whose Line is It Anyway,” to unique shows sporting a mix of stand-up, multi-media, music and storytelling. No two shows are alike, but every one is fun, entertaining and new. #hashtag are the 2013 Improv Wars champions! 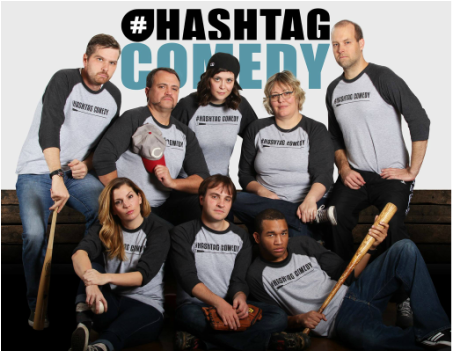 To find out more about #hashtag, check out their website at hashtagcomedy.com or their Face Book page here.